FourFreedomsBlog - Will there be a silver lining? This morning, words have failed me, in response to what is happening in the Gulf of Mexico. 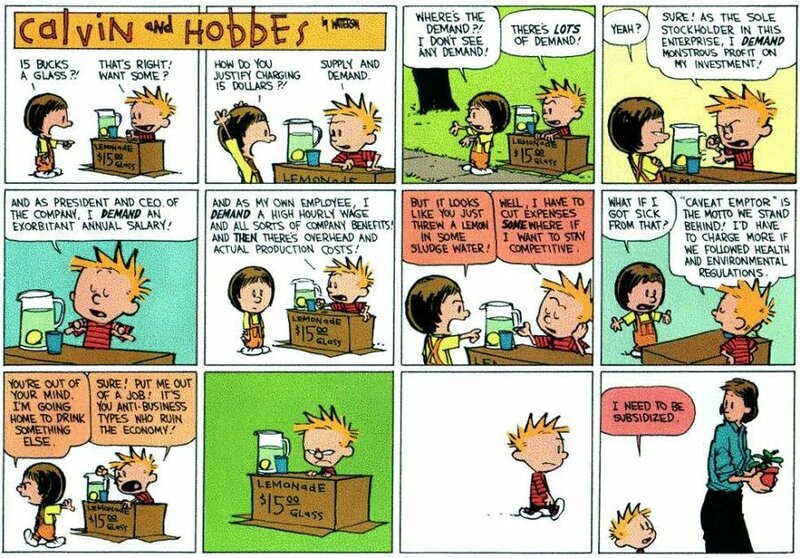 Last night, after reading this old Calvin & Hobbes comic I sat back and realized that sometimes it seems the more things change, the really big things that need changing in the country don't. I mentioned this to BobR, that 'I PRAY that this disaster in the gulf will finally make those big changes happen. He replied "Considering the price we're paying (we as a human race), we better get something out of it." It was profound and sensical. I wondered if that can happen. I woke up wondering it again. Words fail me these days regarding what we have brought onto ourselves as such ferocious consumers of fossil fuels. Our nation consumes upwards of 25% of the worlds fossil fuels and we only supply 3%. We must work on getting away from our dependance on fossil fuels. Can any good come of this at all? I strongly suggest reading the entire column, as difficult as it is to read. This is by far one of the most evenly balanced pieces I have read about the situation we are facing, today, in the Unites States. We scream on the left, they scream on the right, and yet in the end, we all truly did this to ourselves. It's nearly impossible to fathom the magnitude of what is happening. I pray that both BobR and Mr. Morford are right. I pray that we can finally change the course that our nation has been going in for decades. I pray for some glimmer of hope that things can really and truly change. Options are running out. P.S. Thank You Clint, for posting a blog last night. It helped me very much this morning.